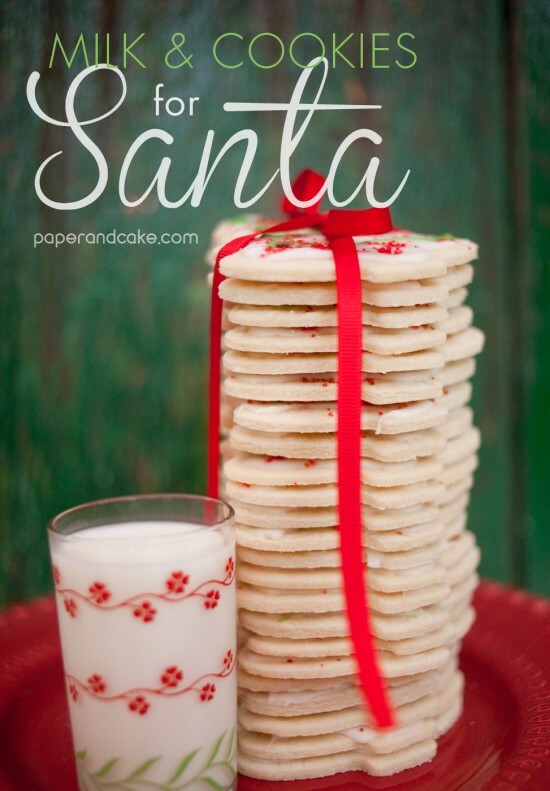 By the time Santa makes it to our house -here in Southern California- he is famished. 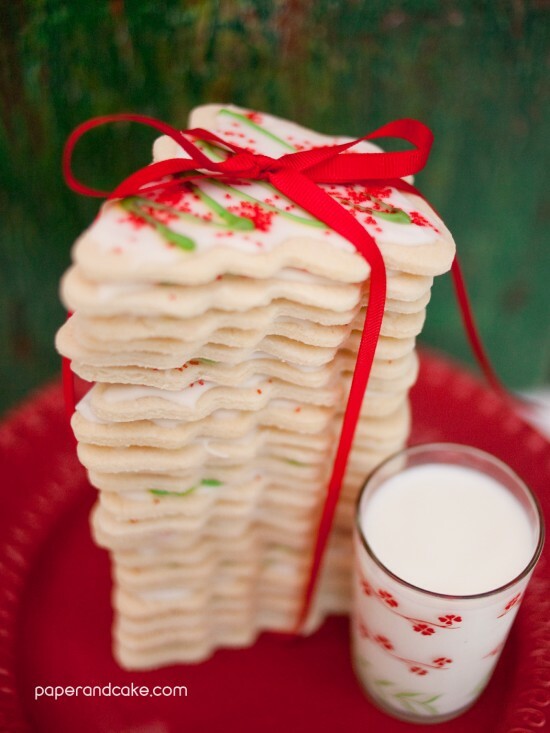 We make sure to take care of him with this STACK of sugar cookies; a legitimate family recipe. While we don’t recommend upsetting Jolly Ole Nick, we also wouldn’t blame you if you ate them before he had the chance shimmy down your fireplace. I mean, do you know how many calories are burned assembling bikes? Tons. So don’t be afraid to sneak a few in yourself…You’ve earned it. We decorated our adorable cookies with white royal, green gel frosting, and red sprinkles…enjoy! Now if you need more milk and cookies ideas just follow us on Pinterest! And check out the rest of our Cookies for Santa ideas over on HGTV.com.